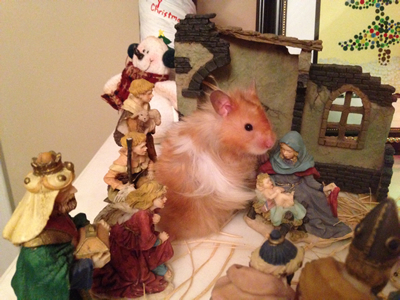 Welcome to the greatest hamster zoo of all time! Welcome to my hamster zoo! 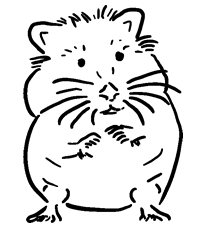 This is a fun online resource for everyone who loves hamsters. 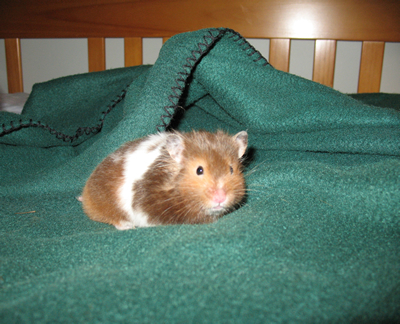 I am not an expert on hamster care but I have had great success in caring for hamsters over the years so in this forum I am sharing tips that may help you. I will eventually open a brick and mortar hamster zoo but until then I will post copious amounts of hamster glee for you to enjoy! This web page will also, over time, become the longest web page in the history of the universe so I will apologize now for the insane amount of scrolling you will need to do. Shhh. You poor thing - stressed out of your mind. Everything is going to be ok. Meditate with Snowflake Brownie, he loves you. 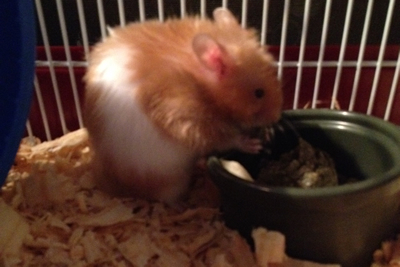 Keep your little hamster clean, his or her cage clean and provide fresh food and water every day. Also make sure to clean your hands after handling your hamster. Then sit back and watch, these little critters have quite a calming effect. 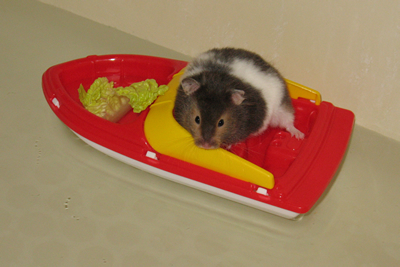 The European Hamster Grows How Long?! 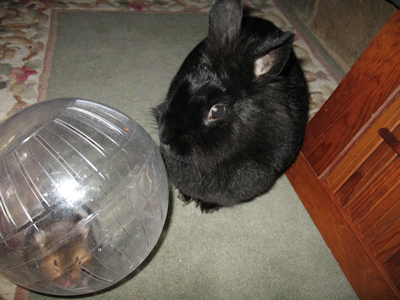 Only keep your fluffy little critter in the plastic (clear and vented) exercise ball for 10 minutes at a time (10 minutes in the ball, 20 minutes back in the cage, repeat) if you exceed this 10 minute timeframe you run the risk of your hamster having an accident in the ball – would you want to roll around in a plastic ball filled with hamster pee? Of course not so don’t put your adorable little pet through something like that. 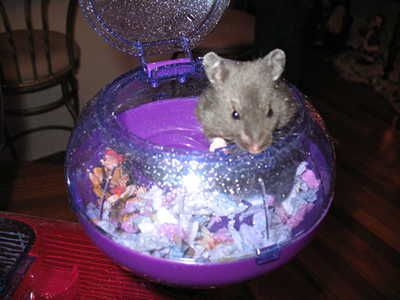 Get in the habit of setting a timer ANY time your hamster is in the ball so you won’t forget about him or her (they are little and quiet, it is easy to forget about them when you are having a busy day). 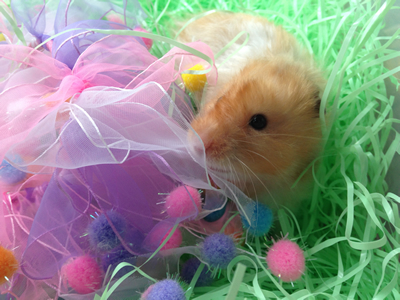 Hamsters, the sweetest little critters in all the land! All creatures (including you) need sleep. When creatures do not get enough sleep they may become sick over time and experience terrible things like headaches, muscle aches, heart problems, trouble concentrating and feel no desire to live life to the fullest. Hamsters are often on a different sleep cycle than humans because they are very active at night. Therefore it is not a good idea to keep a hamster cage near your sleeping area because hamsters enjoy playing and making lots of noise at night and they will just disrupt your sleep if they are near you at night. Keep your hamster cage in a common area in your home (but the area needs to be quiet enough during the day that your hamster can get sleep). Keeping the hamster cage in a common area reminds everyone in the family, as well as visiting guests, that the hamster is part of your family and minimizes the risk that your hamster will be neglected. All of those fancy little plastic houses they sell at the pet store are great but they are often too small, hard to clean and end up getting chewed to bits. I have found small card board boxes are ideal. Just cut a big opening in a small cardboard box (box size 4”x4”x4” is good), poke a few air holes in each side, throw in some bedding and bam! You’ve got a perfect dark enclosure for your little critter to sleep in! Always keep a spare cardboard box on the shelf in case the existing one gets chewed up. In a spot where natural sunlight is available, sunlight is very important for the overall health of all kinds of life. Keep a small towel over the top of half of the cage so the hamster always has a shady spot away from bright sunlight and any bright lights within the home. 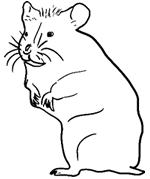 Avoid handling your hamster when you are sleepy, if you fall asleep on the davenport while holding your hamster you may squash him. They are fragile little critters. Who wants to be crushed to death under the girth of a human? No one! 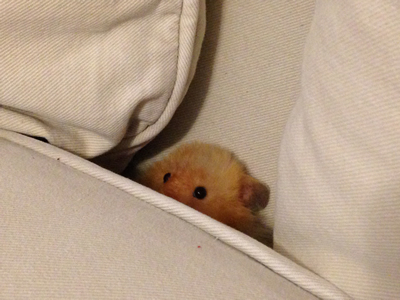 Loud noises will frighten your hamster regardless of whether or not he or she is asleep or awake, avoid subjecting your sweet little critter to such tortures. If you want to play with your hamster, but he or she is still sleeping, gently wake the hamster like this: go to the cage holding a small piece of apple (remove apple skin), blow very gently on the apple in the direction of where the hamster is sleeping and wait. 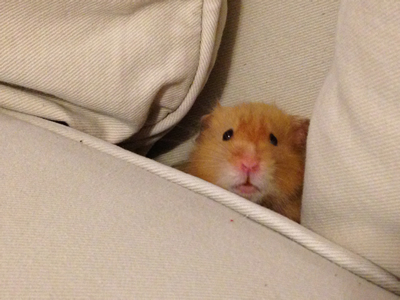 The hamster will smell the apple and come out to investigate. Softly say hello to the hamster and give him or her the apple. Gently pick him or her up (or place the apple in a little scooper or ball and when the hamster crawls in simply lift the scooper or ball out of the cage with the hamster in it). Giving your hamster a treat like this, exactly the same way every day, (and at the same time if you can) helps the hamster learn what to expect so he or she will, over time, learn to trust you and look forward to seeing you. Hamsters, they want to live with you and eat all of your vegetables! All creatures (including you) need a glorious home, a place where one is: loved, can curl up in comfort, run around with little fear of being injured and have plenty of fresh water and food for a long and healthy life. 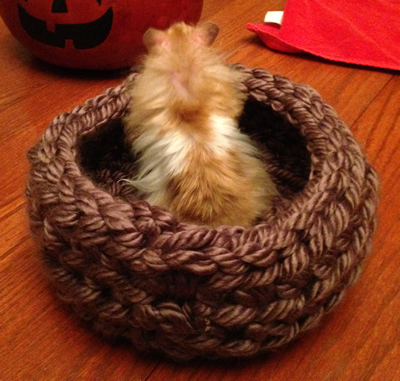 Build or purchase a huge hamster home (or purchase two small cages and hook them together). These sweet little critter need plenty of room to exercise for the rare event when you get home late and are unable to devote time to them. A large cage also helps take the pressure off of your friends who will care for your hamster when you are on vacation because your friends may be comfortable feeding and talking to your hamster but they might be afraid to handle the hamster. Keep the home one story if possible. Why? 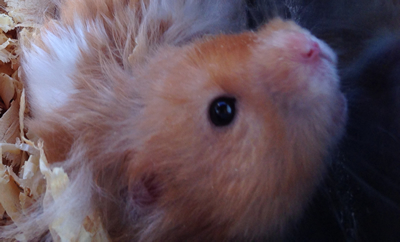 Hamsters age very quickly and when they get old they are often unsteady when walking or climbing. Unless you have very gradual inclines in the form of large enclosed tubes, stick to a ranch style home. Keep the bedding low key – nothing that smells. 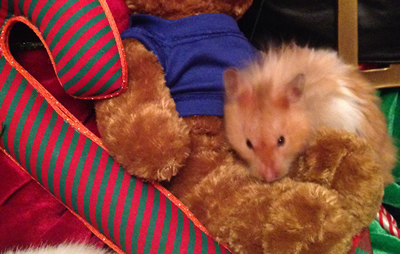 Your hamster has sweet little lungs – avoid mucking them up with highly fragrant bedding. Avoid wire mesh exercise wheels if you can. The tiny holes in them concern me. My hamsters have tripped in these wheels in the past and I worry they were catching their little toes or nails in the holes. 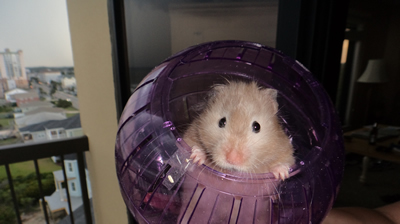 My hamsters seem to have better success with the solid plastic exercise wheels. 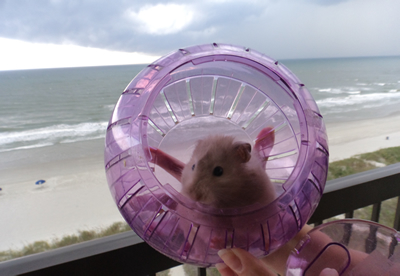 Avoid small tubes for hamster travel in and around a cage. 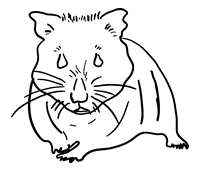 As your hamster ages, he or she may gain weight due to a number of factors (inactivity due to pain, retaining fluids due to kidney malfunction, etc). 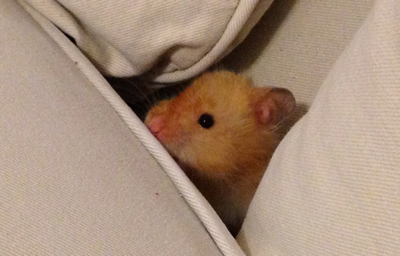 The small colorful tubing that normally comes with cages may be too small long-term if your hamster reaches old age. Large tubes are ideal if you can find them. Many hamsters are adamant about: going to the bathroom in the exact same spot in their cage every time and hiding food in the exact same spot in their cage every time. If your hamster falls into this category then it is going to be very easy to clean his or her cage. Learn where these two areas of high usage are and every few days clean these areas (remove the waste and stained bedding as well as any hidden food that could begin to mold and present a health danger – just scoop it up with a paper towel) and replace with clean bedding. You can go the route of dumping all of the bedding each time you clean the cage but that is not necessary in most cases. If you are having trouble cleaning the area, then cut up an old plastic milk jug to fit the area that is hard to clean then cover it with bedding. This will allow you to completely remove the area (the piece of plastic) and wash it without having to completely disassemble the entire cage or cages for a thorough cleaning. It only takes a few minutes to clean the cage, be sure to do this every few days for a happy and healthy hamster. Make sure your hamster is out having fun in his plastic ball while you are cleaning his or her cage, they can get stressed out when peeps start messing with their stuff. All creatures (including you) need love. Little hamsters do not require a great deal but if they do not get what they need, just like you, they will lead an unhappy life where they are sad, have no motivation, and end up wasting their life away in a quiet and lonely grave – forgotten. Who wants to live like that? No one! Talk to your hamster every day. Hold your hamster every day and pet his cute little head. 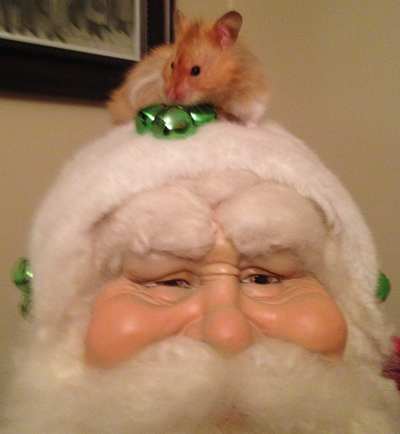 Let your Hamster enjoy the holiday decorations to! Let your hamster run outside his or her cage everyday (this can be in a plastic ball, on the floor in an enclosed area with no electrical wires, etc). 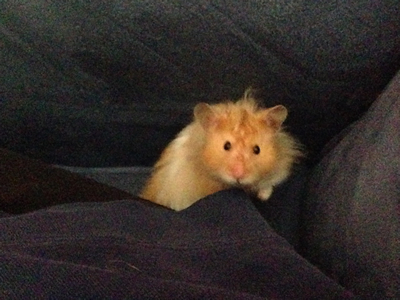 Avoid quickly grabbing your hamster, they are skittish little things and are easily frightened. Always talk to your hamster first in a soft voice and then scoop him or her up slowly either with both hands or scoot him or her into a container and then pick up the container. My hamsters have always preferred to crawl out of their cage on their own and then hop onto my waiting hands just outside the door. It takes a lot of patience to earn the trust of a hamster, just be consistent and kind in your actions and eventually your hamster will consider you one of his or her closest peeps. All creatures (including you) eventually die. Hamsters have an extremely short life span of only about 3 years in comparison to the average human life span of 79 years. I try to avoid using time to calculate anything because on some level, for some unknown reason, I think measuring existence and any of its experiences based on time is ridiculous. But since we all like to get to the book store and the ice cream shop before closing time, I will (for now) succumb to the measure of time. With that said, I would like to point out that although there appears to be a huge difference in years between a hamster and a human, keep in mind that 3 years can be an eternity if one is unhappy, frightened, hungry or in pain. If one is happy, 79 years can fly by in the time it takes a bat to flap its wings one time. However you chose to experience your existence, I hope it is good for yourself and for the people and critters around you. Unfortunately there is little that can be done for hamsters when old age hits. Hamsters are very small and their lifespan is short so if they have reached their life expectancy and it is apparent they are dying, then it is sometimes best to just keep them close to you in a quiet, warm, clean area where you can provide him or her water from a dropper. Your local vet can help you with any additional options (if there are any) if your hamster reaches this stage. Wearing gloves, wrap your hamster in something biodegradable and beautiful: something like raffia, large leaves and sticks. Read something wonderful out loud. 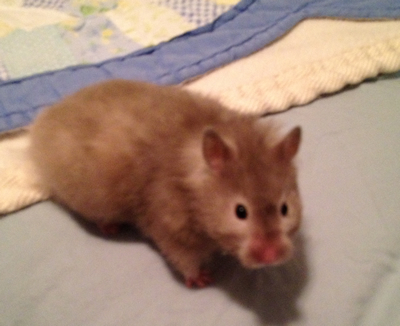 If you train your hamster to walk on a leash, avoid walking him or her on the leash outside at night. I had a very scary encounter with a huge owl in my backyard many years ago while walking my hamster Precious on a leash after dark. The owl was completely silent as he swooped down from a high pine tree. I caught a glimpse of something white out of the corner of my eye, when I turned to see what it was I saw the owl and he was about 10 feet away – headed right for Precious. I screamed and the owl quickly changed course and flew into a large shrub.